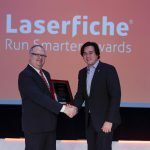 LONG BEACH, CA (Laserfiche)—January 12, 2010—Laserfiche today announced the winners of its annual Run Smarter Awards program, including LaPorte County, IN. Each year, Laserfiche recognizes organizations and government agencies that have been successful in solving their most pressing information management challenges through innovative use of Laserfiche technology. As chief probation officer for LaPorte Superior Court No. 4 in Indiana, Steve Eyrick implemented Laserfiche enterprise content management (ECM) more than seven years ago to increase efficiency, decrease storage fees and organize information that had accumulated over the course of 20 years. The probation department’s success with Laserfiche attracted the attention of Darlene Hale, IT director for the entire county. 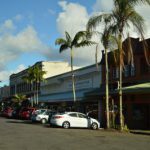 After comparing Laserfiche with Docuware, Hale decided to standardize the county’s approach to content management with Laserfiche. As a result of implementing Laserfiche, the county has decreased overhead costs for content management, increased staff productivity and reduced storage costs. In addition, LaPorte County also benefits from a more extensive architecture for information management. Other 2010 Run Smarter winners include: Cambridge Financial Group; California’s Central Contra Costa Sanitary District; Collin County, TX; Elk River Police Department; Los Angeles County Office of Education; the city of Norfolk, VA; RMS; Spindletop MHMR Services; State of Guerrero, Mexico; Texas A&M University; and the Texas Medical Board.